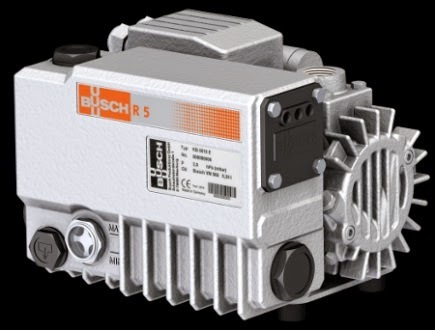 Sizes KB 0010 E and KB 0016 E are particularly compact, high-performance rotary vane vacuum pumps from the time-tested R 5 series. These vacuum pumps are designed specifically for mounting in machines and equipment with limited available space. All wetted parts of Chemker series pump are made of PTFE material which can resist most of corrosive gas. Chemker series pumps are driven by Diaphragm, no need for lubricant, regular oil changes and maintenance; with no oil pollution. Driven direct by motor with no additional belt-driven transmission; the quality vibration-proof assembly makes Chemker series run at the lowest noise level among all other equivalent pumps. 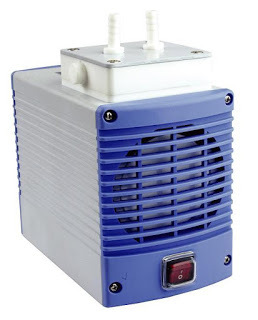 Every motor of Chemker series pumps has a built-in thermal protection device to shut off the pump automatically when overheated and then restart it when the temperature cools down.